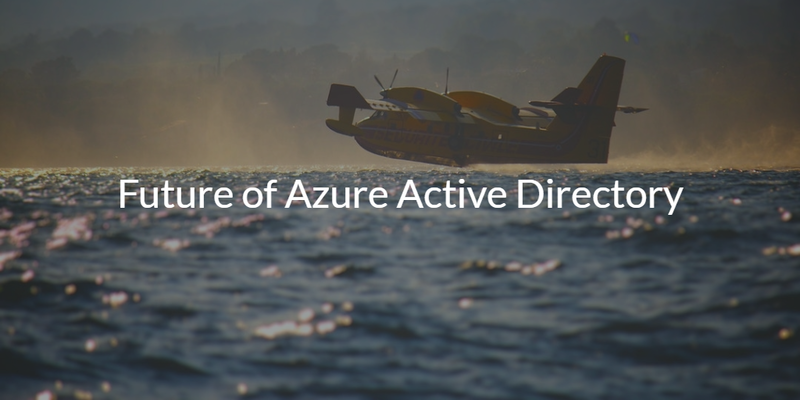 We are often asked the question, “What is the future of Azure Active Directory?” It’s a common question because with Microsoft Active Directory on-prem and Azure Active Directory, is there any reason to have two directory services solutions? Given that we offer an alternative to Azure Active Directory and a replacement to Active Directory, folks that test our Directory-as-a-Service® platform often are wondering how the cloud identity management space will evolve. The question of where does Microsoft head with Azure AD is a good one. But, in order to answer the question, we need to step back and understand what each Active Directory solution does and what is Microsoft’s overall strategy. Active Directory was introduced in 1999 as the on-prem solution to directory services. At the time, most IT networks were based on Microsoft Windows and virtually all of an organization’s IT infrastructure was located on-prem. Microsoft used AD to cement their place in an organization and for many years it helped sell more Windows and Office software licenses. As organization’s standardized on Windows, using Microsoft’s management tools such as AD was important. This led to AD being the most used directory service in the space. As the IT landscape began to shift with the move to the cloud and web applications, Microsoft started to think about their approach to the cloud. That approach was, of course, Azure. Azure is partly a response to Google’s G Suite (formerly Google Apps) platform and to AWS. A key component of Azure was the creation of Azure Active Directory. Of course, Microsoft didn’t want to cannibalize Active Directory, which was already basically a monopoly in the space. As a result, Microsoft would position Azure AD as an adjunct to the on-prem AD. Much like the Google Cloud Directory (also often called G Suite Directory) which is a user management platform for Google services, Azure AD is a user management platform for Azure services. The two platforms do work together and Microsoft’s intention was to have an organization’s core identity provider be the on-prem AD and then those identities would be federated to the cloud directory instance. This approach would ensure that organizations would be tied more tightly to Microsoft. For many IT organizations, though, having an on-prem directory service is not what they would like and they would also not like to be tied to Azure. So, the question then becomes how do IT admins solve this problem. A new generation of cloud identity management platform has emerged called Directory-as-a-Service to solve this problem. As a cloud identity provider, Directory-as-a-Service is neither tied to Windows nor just to the cloud. The modern IDaaS solution securely manages and connects users to the IT resources they need including systems (Windows, Mac, Linux), cloud and on-prem servers (e.g. AWS, Google Cloud, Azure, etc. ), web and on-prem applications via LDAP or SAML, and wired or WiFi networks through RADIUS. In short, the cloud identity management solution Directory-as-a-Service is Active Directory reimagined for the cloud era, or the what the future of Azure Active Directory should have looked like. If you would like to learn more about the future of Azure Active Directory or why a neutral cloud directory solution may be right for you, drop us a note. 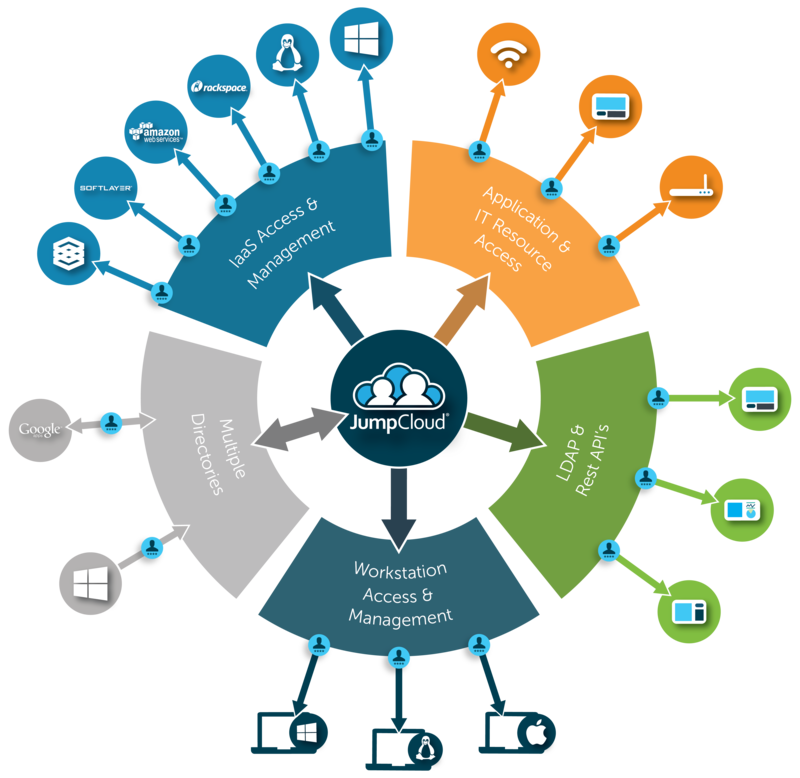 Alternatively, sign-up for a free JumpCloud account and see our virtual identity provider in action. Your first 10 users are free forever.